The beauty of nature is unrivaled. A vast range of hues cropping from the buds, glistening with dew in the morning light and spreading their petals gorgeously to the sun’s kiss. There is a peace that only those that revel in the silent beauty of a garden can know. Not every garden can survive all year round. 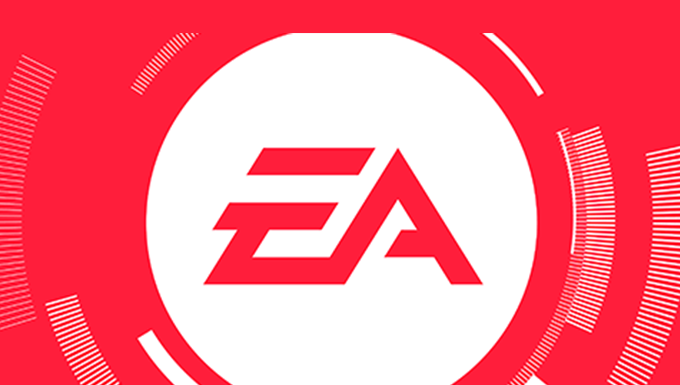 But with the right climate and atmosphere, anything is possible! 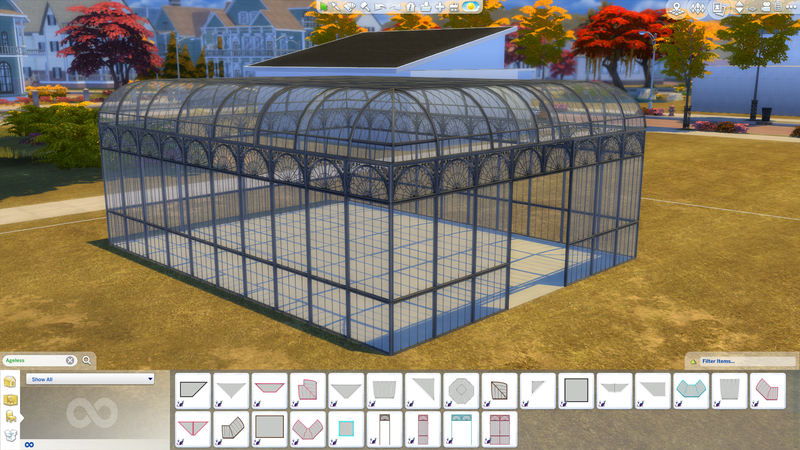 This custom greenhouse building collection is the perfect fit into your game to bring your Sims together. 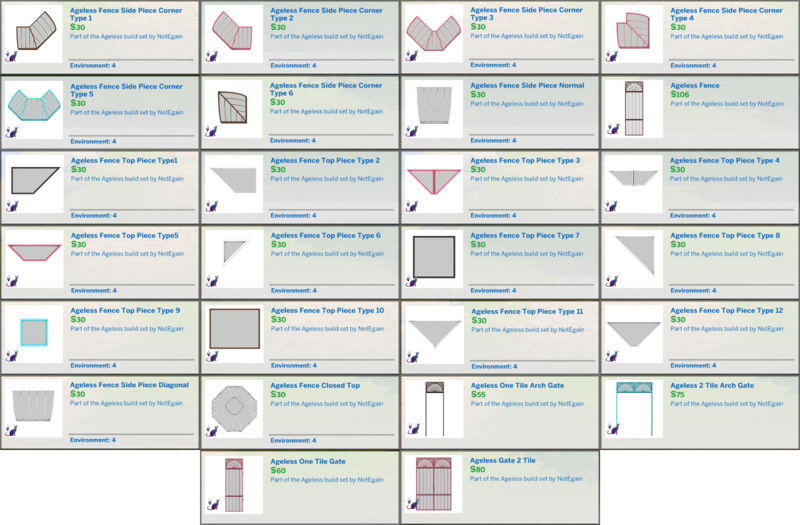 With twenty-six pieces and five different color swatches for each, builders will enjoy puzzling together their own custom garden spectacle! Each object is available in pink, blue, white, brown, and black. 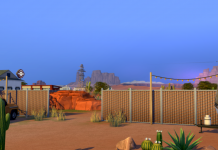 Have you ever noticed the strips of grass that decorate the public areas of the worlds? 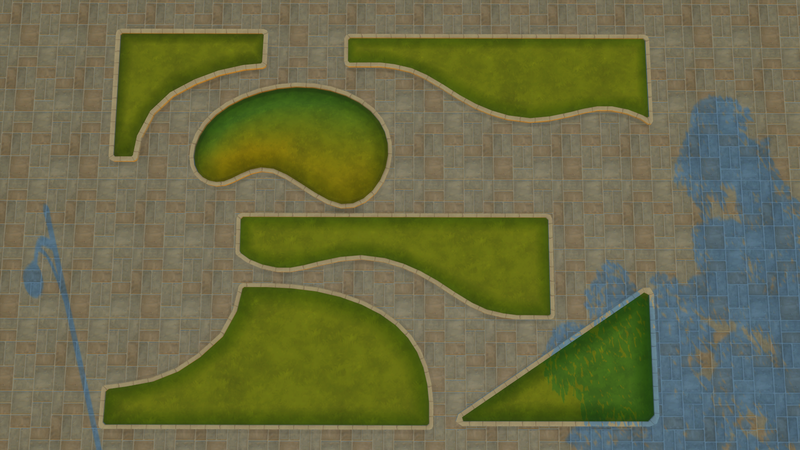 Bakie has not only unlocked those for our common use, but also created a mirror version to create even more symmetric gardens and walkways! 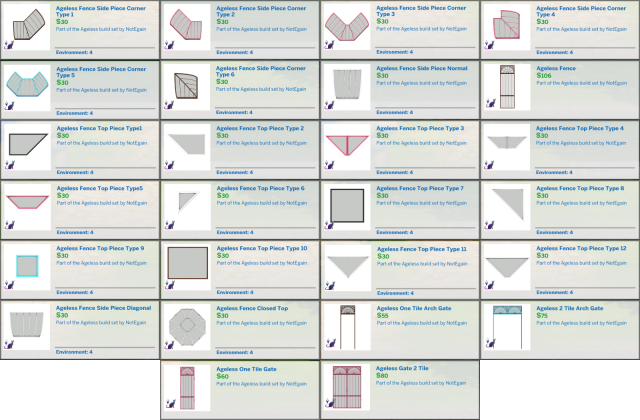 These lawn parts can be placed on the ground, fountains, and on pools. 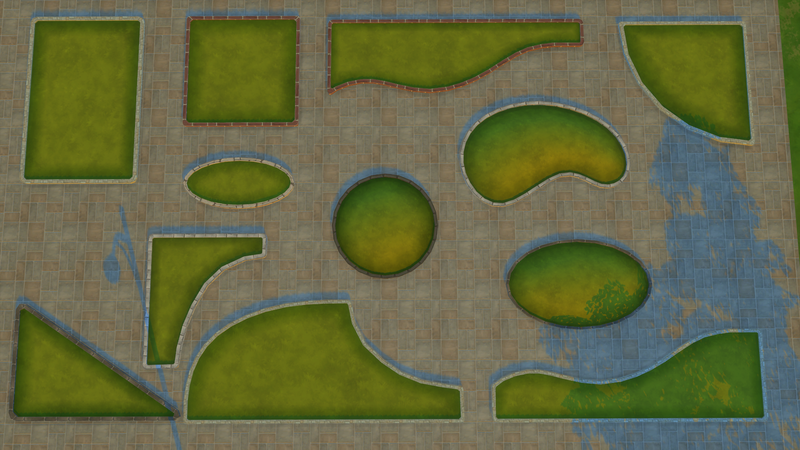 In fact, Sims will walk and swim around nearly all of the lawn parts making them ideal for decorating a public lot! 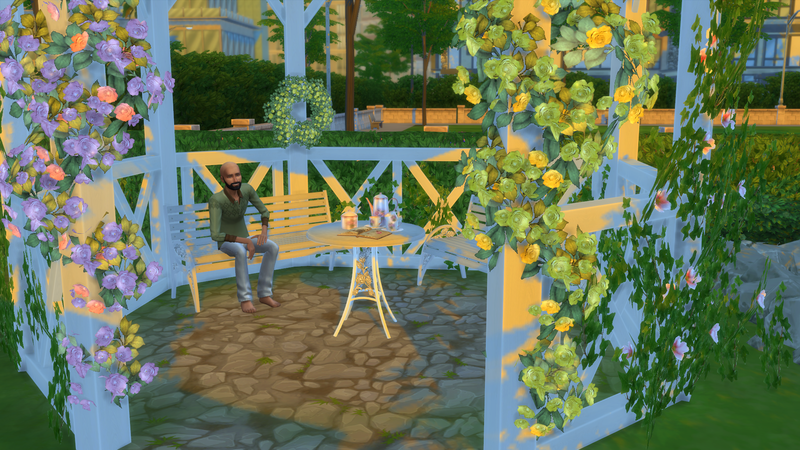 Decorate with plants, trees, and other miscelaneous garden stylization. Loverat has an impressive amount of realistic recolors! 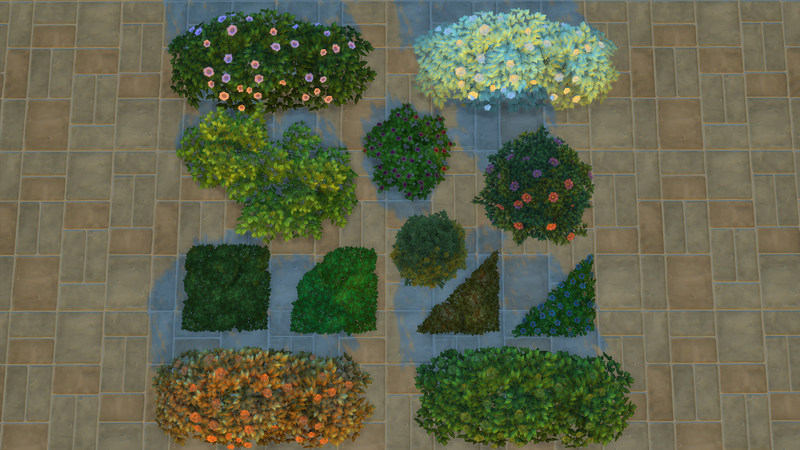 In the Part 2 set alone there are twelve beautiful recolors of the EA mesh of bushes and flowers. Most of them have five or more colors! This set is perfect for what it is intended for! 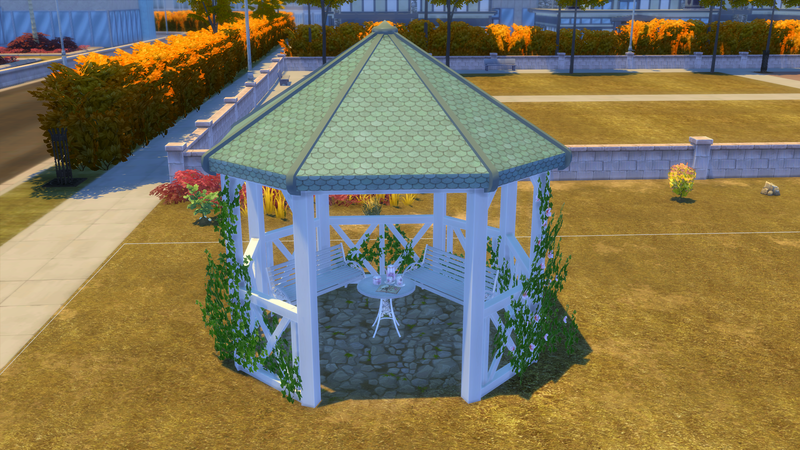 This small gazebo makes a quaint setting in the garden for a gathering of tea and conversation. 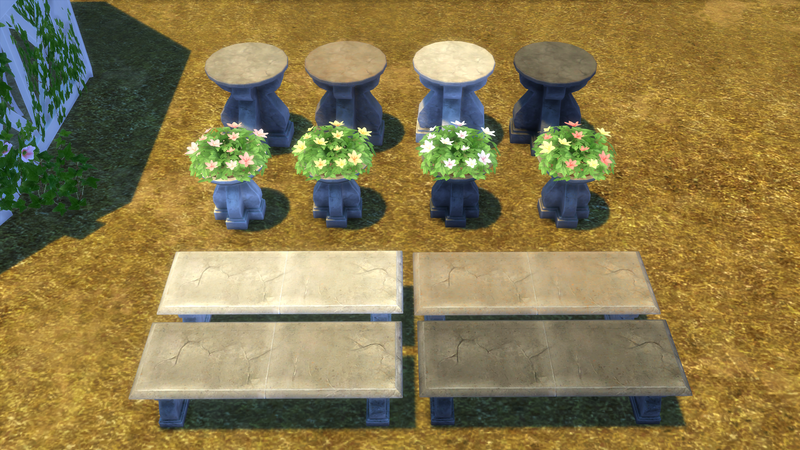 With a total of eleven items to add to your game, this set is sure to bring a charm to any garden. 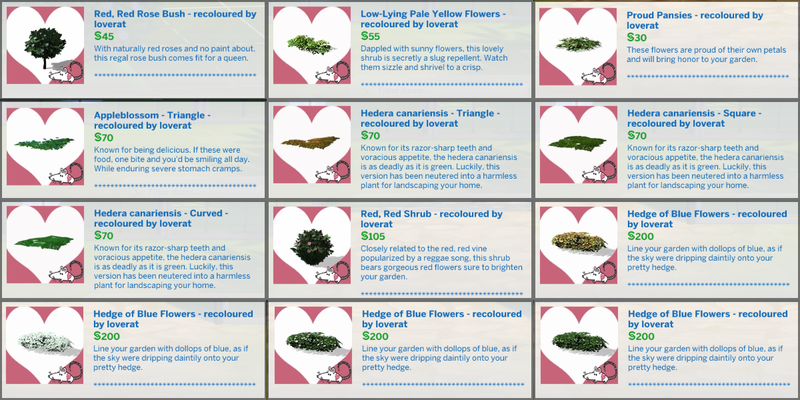 If your Sims prefer the overgrown look, this is for them! 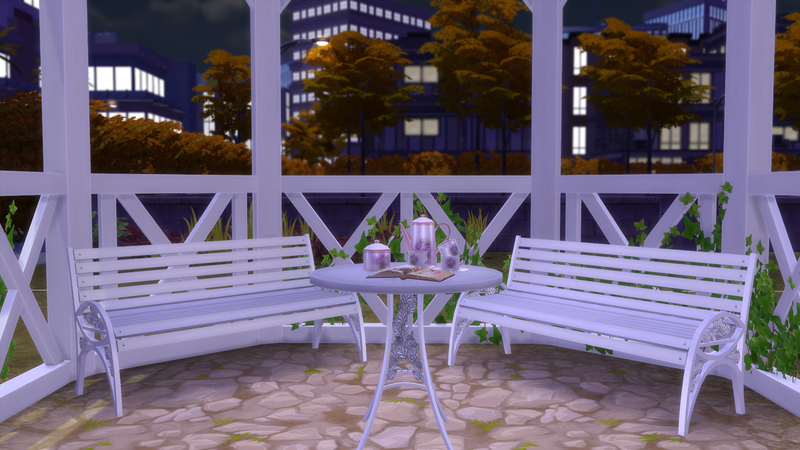 The Old Mill Ivy set is a conversion from The Sims 3 store set specifically requested to clutter up the garden. 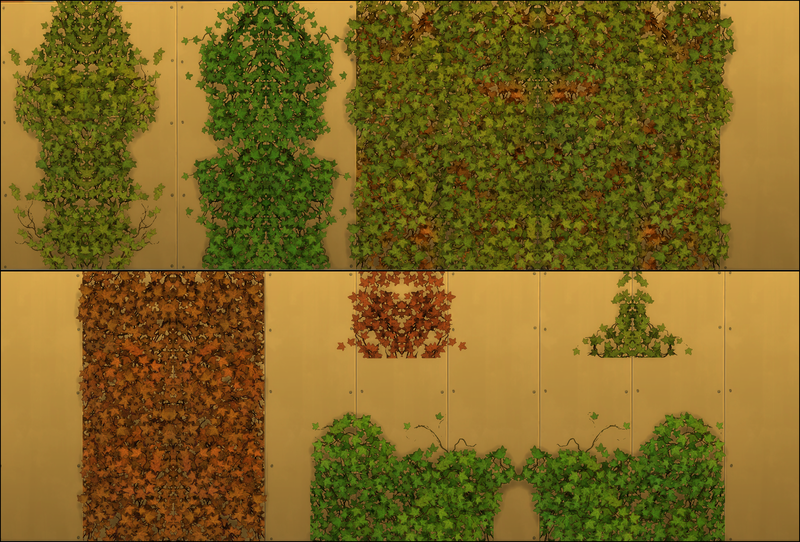 There are seven types of overgrown ivy to place on your walls along with a mirror of each. 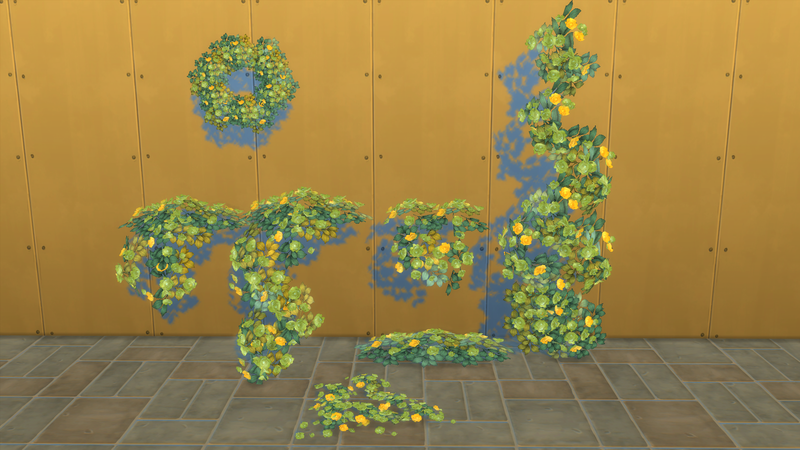 All of the decoration come in one of five recolors for a spice of variety. For a more Greek culture added to your gorgeous garden, these pieces come in a grey stone and white marble recolor for each. 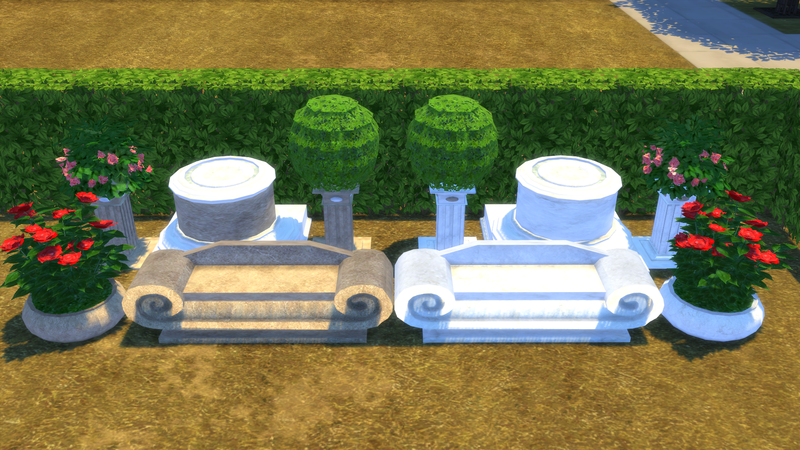 Set One and Set Two both have five quality decorations for your environment. 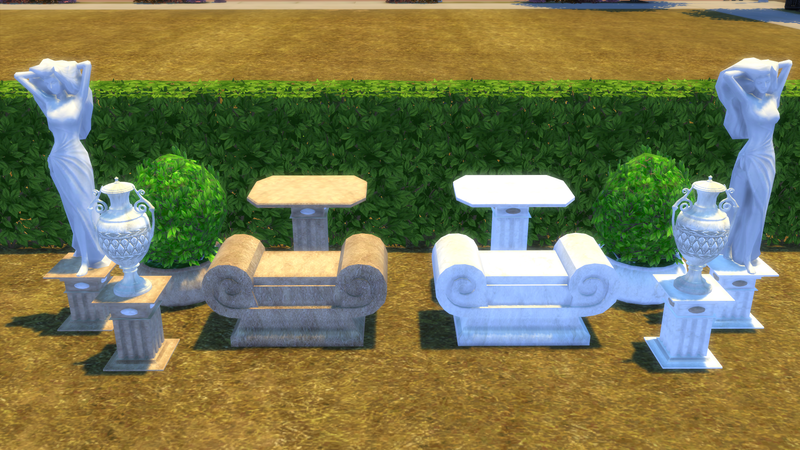 Speaking of stone additions to your garden, this set gives a truly antique feel. 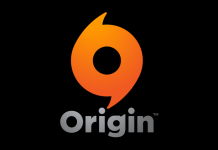 Each of the three objects come in four different cracked stone texture. 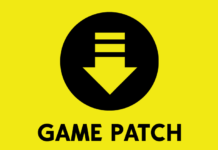 Some of the best custom content are conversions of conversions that transfer from one Sims game to the others. These seven rose objects are converted to decorate cottages and gardens with a detailed display of four different colors. 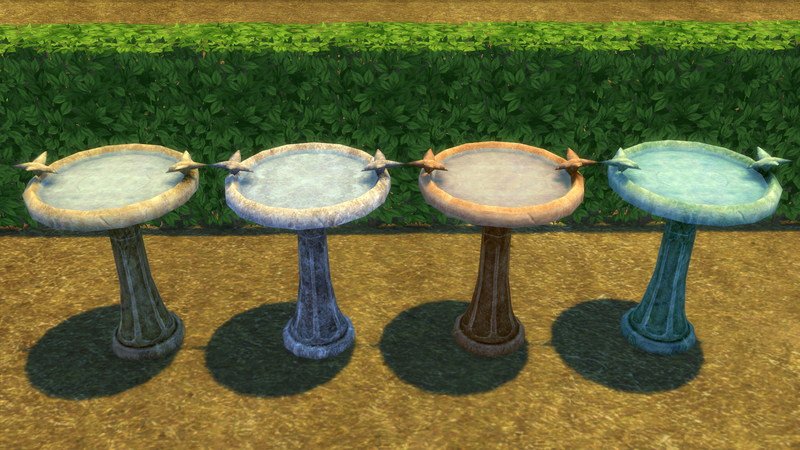 This bird bath is a recolor of the base game’s fountain, only with a more realistic and stone texture. 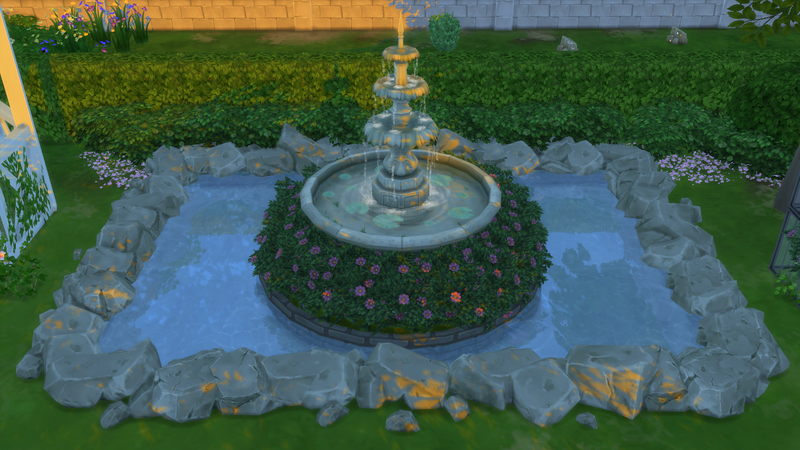 Bring out the bird bath as a centerpiece or set it in your Sims’ garden for a quaint standalone decoration. A true sanctuary of nature’s beauty is never fully finished. 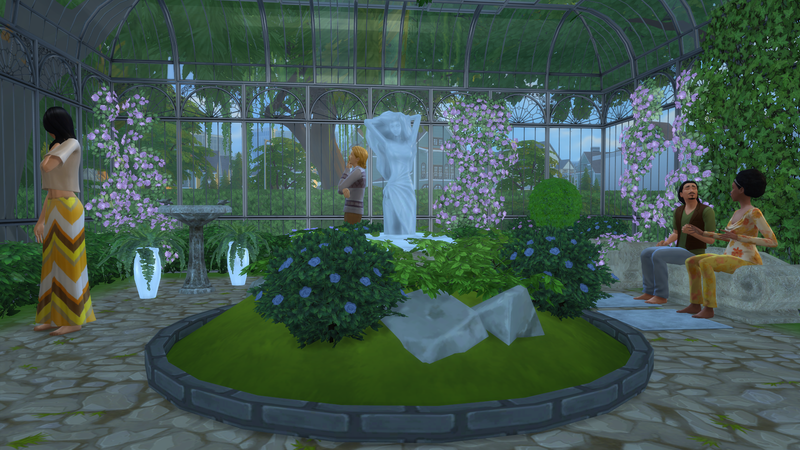 But with the flora, fauna, and decor in this showcase, we feel you might have a good place to start!